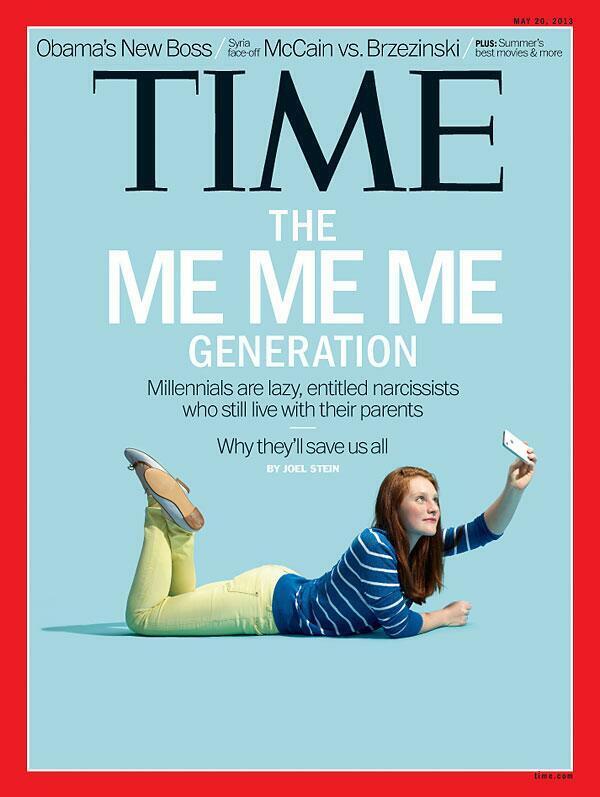 The cover of the magazine even calls Millennials the, “me me me generation,” adding they are, “lazy, entitled narcissists who still live with their parents.” Harsh, especially since that doesn’t remotely describe the Millennials I know, including my two adult children and a handful of others I know professionally. “Google” has always been a verb. How exactly are they so different? Google may not have always been a verb in my lifetime, but I Google with the best of them. I text a lot (although I prefer Skype, IM, and Twitter, and my kids often ask my advice when it comes to social media). I’m wireless. I’m always connected. To me, it’s a way of life and a way to work and learn. In 1965 when the song was released, “they” were the establishment, the man, authority, those in power. They were oppressive and didn’t recognize our importance. They didn’t value us, and we weren’t getting what we wanted. We were angry. We, we, we. Sound familiar? My generation now sees “them” as stereotypically hard-working people who built much of the infrastructure we all take for granted. In 1990, Tom Brokaw dubbed them, “The Greatest Generation.” They went from being oppressive to greatest in twenty-five years. “We” are now in “their” shoes and the new focus is on Millennials. The wireless ones. The always connected ones. But as I said, those aren’t generational characteristics. That’s simply where technology has taken us. We don’t need to figure out how to train Millennials in the workplace. They’re not that different from others except they’re younger. We were all young once too, and like us they will grow into more and more responsible positions in the workplace. What we do need to do is intelligently integrate technology, especially mobile and social, into workplace learning for everyone. We need to leverage Google (among others) and embrace informal learning as ways to improve workplace performance. We need to stop talking about it and just do it. It’s got nothing to do with meeting the needs of a new generation entering the workforce and everything to do with meeting the demands of today’s workplace and the ever-increasing pace of information flow.